string(1119) "Resource Centre > Uncategorized > Honeywell’s Codes of Conduct & Trafficking Policy"
Honeywell is a global, diversified, technology-driven industrial company headquartered in Morris Plains, NJ, in the United States. Honeywell operates in approximately 70 countries (including the UK) and employs approximately 130,000 employees through five different business units: Aerospace, Performance Materials and Technologies, Safety and Productivity Solutions and Home and Building Technologies. Honeywell procures a vast variety of products and services from suppliers around the world. The Honeywell Code of Business Conduct, the Honeywell Supplier Code of Conduct and the Honeywell Human Trafficking Policy set forth Honeywell’s expectations and policies regarding human trafficking and slavery. 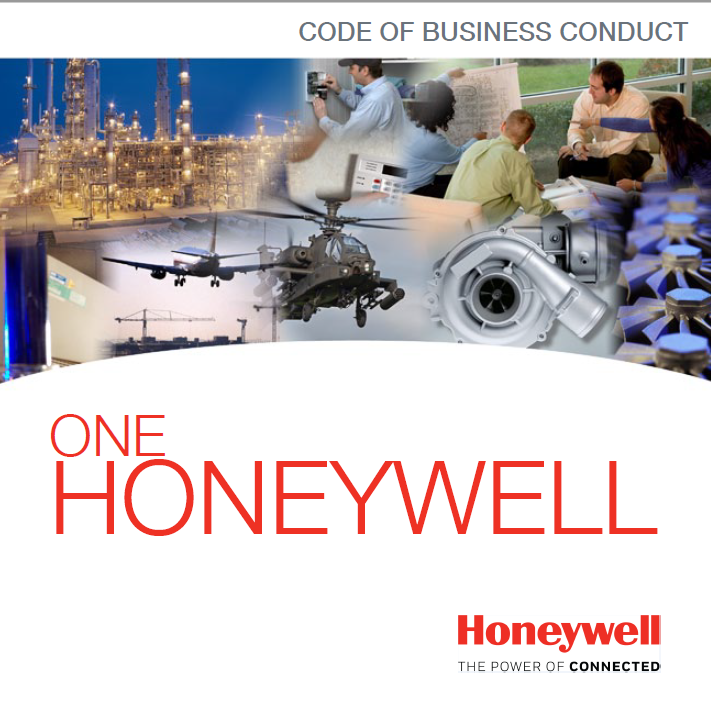 The Honeywell Code of Business Conduct is designed to provide guidance on Honeywell’s standards of integrity and compliance in all their business dealings. 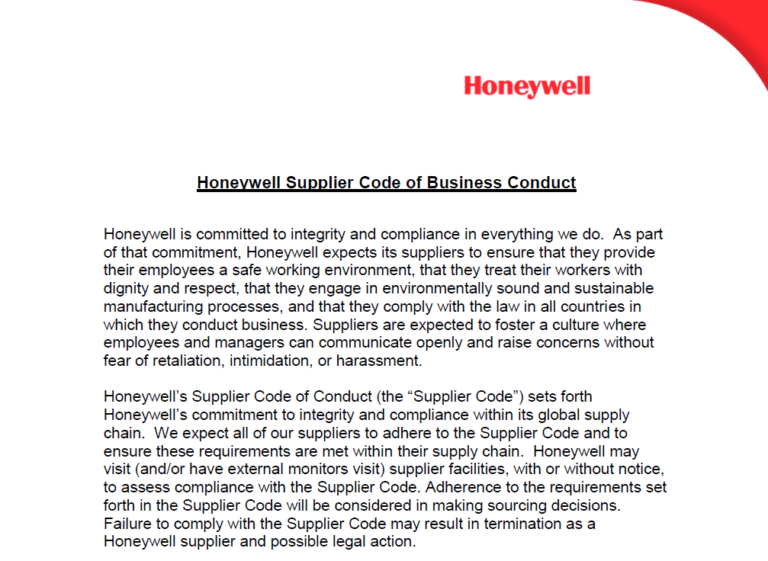 Honeywell’s Supplier Code of Conduct sets forth Honeywell’s commitment to integrity and compliance within its global supply chain. All of Honeywell’s suppliers are expected to adhere to it. Honeywell has zero tolerance for human trafficking and slavery, has measures in place to ensure that Honeywell employees, agents and suppliers do not engage in human trafficking and slavery activities, and continually revises those measures to keep in step with relevant legislation such as the Act.